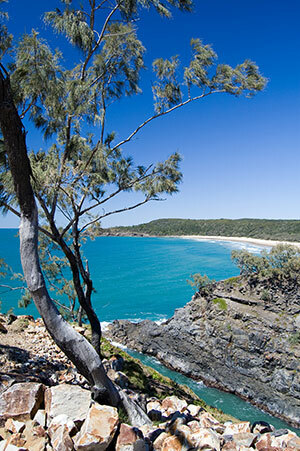 Renowned for its national park and annual events – particularly the Noosa Festival of Surfing, Noosa International Food & Wine Festival, and Noosa Long Weekend Festival – this area in the Sunshine Coast region is the perfect getaway for travelers of all ages. Whether you’re headed there for a vacation, wedding, business or otherwise, our Noosa limousines and Noosa airport transfer are ready to transport you in total and complete comfort. Limoso’s expansive fleet of luxury cars, limousines, motor coaches and vans are capable of meeting your needs – regardless of group size, occasion, or destination. Get started booking today and reserve the perfect vehicle! If you're looking for a limo ride in Noosa, Limoso is here to help! We also provide hotel & airport transfers between Brisbane and Gold Coast, and all parts of South East Queensland. Peppers Noosa Resort & Villas - Viewland Dr.
Sofitel Noosa Pacific Resort - Hastings St.
Noosa Blue Resort - Noosa Dr.
Bella Casa Noosa Resort - Hastings St.
Reserve your next limo, airport transfer, or car hire in Noosa with Limoso! We offer wedding limo services, executive sedans, and more.